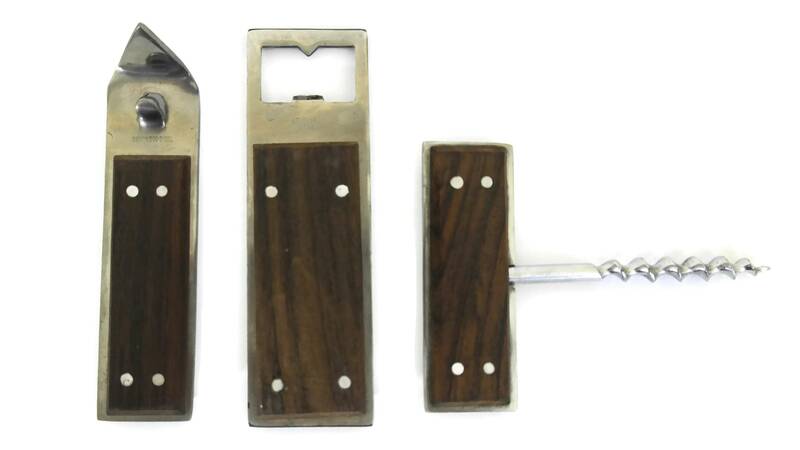 A stylish Mid Century Modern teak bar set manufactured in the 1960s. 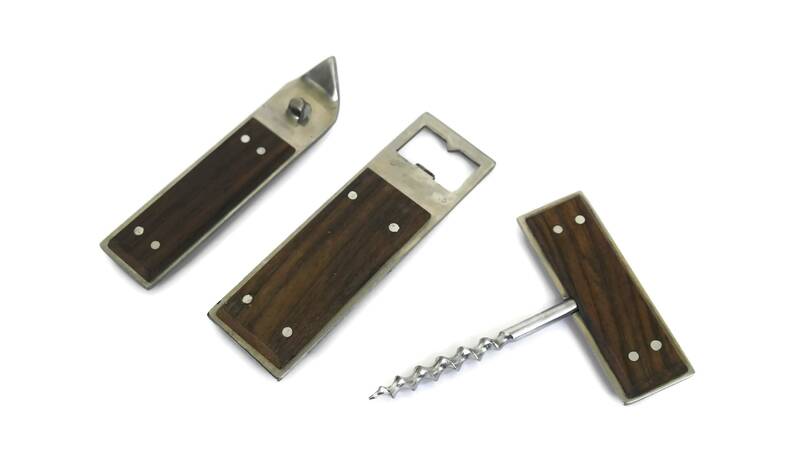 The vintage bartender tool set includes a cork screw, a bottle opener and a can openers. 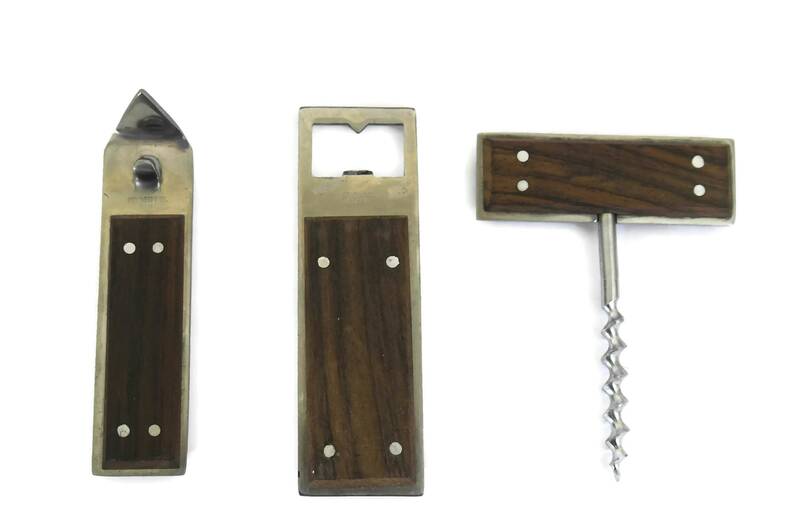 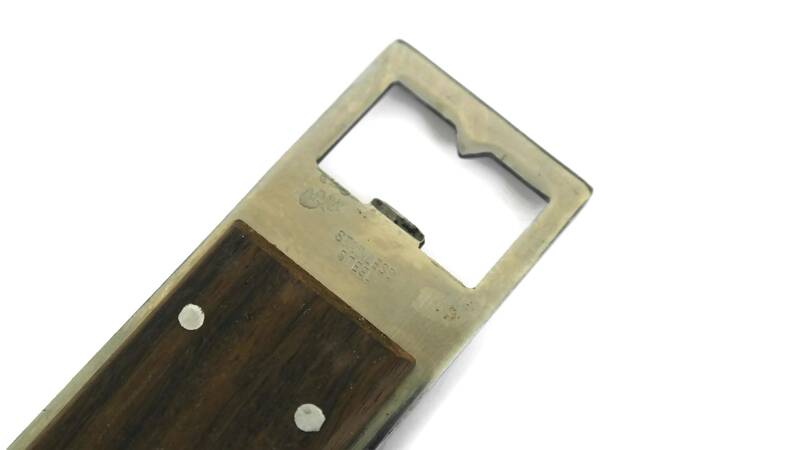 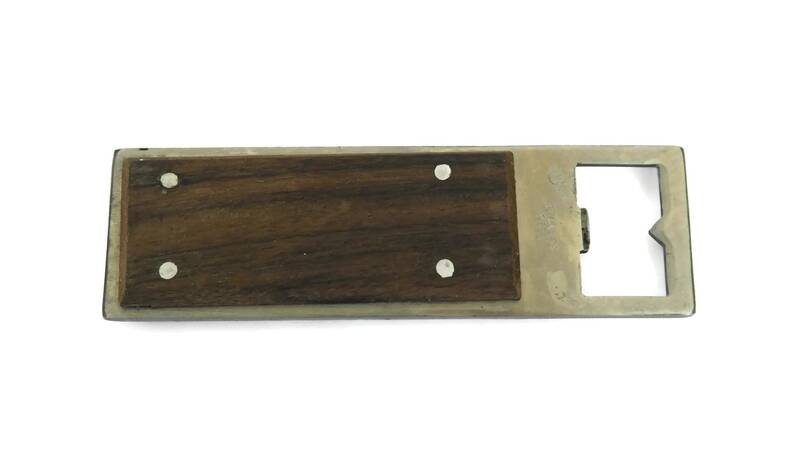 Each of the bar tools has been made from stainless steal and their handles have been decorated with teak wood panels. 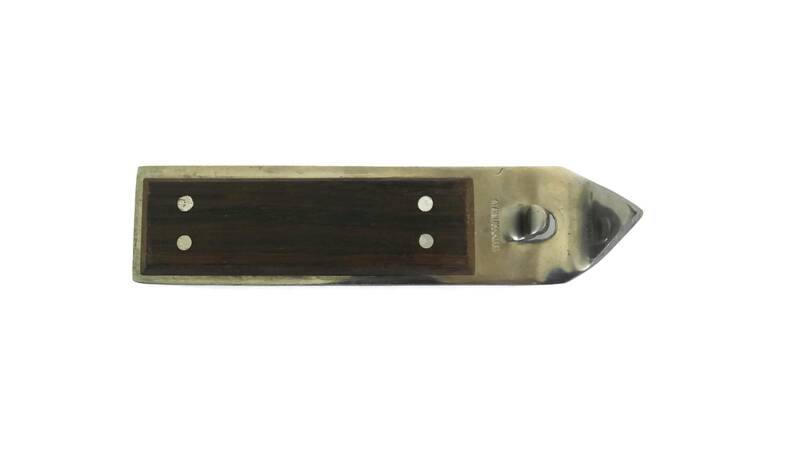 Their sleek Mid Century Danish style design will make a sophisticated addition to your barware decor. 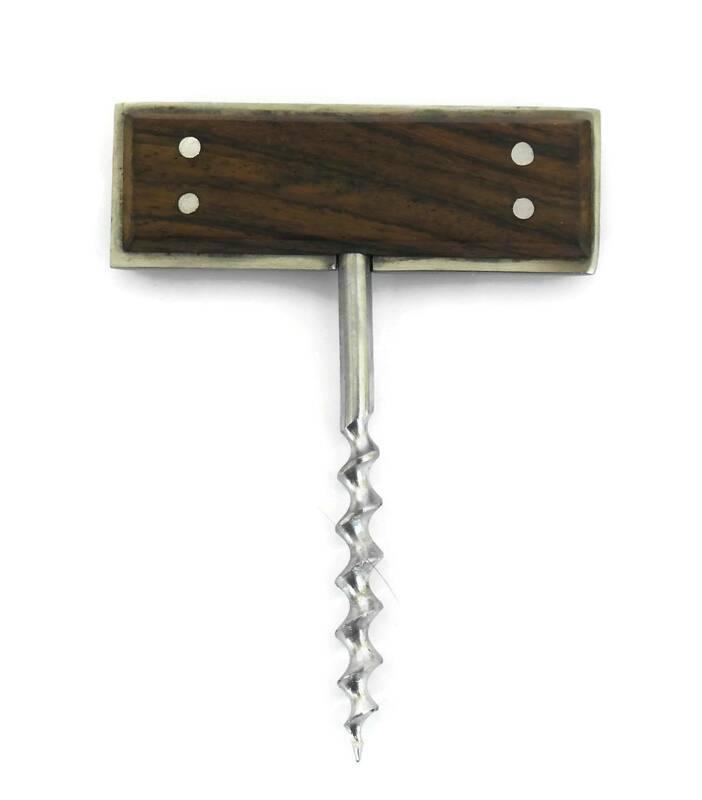 Cork screw: 4.5" Long x 3.5" Wide (11,5 cm x 8,5 cm). 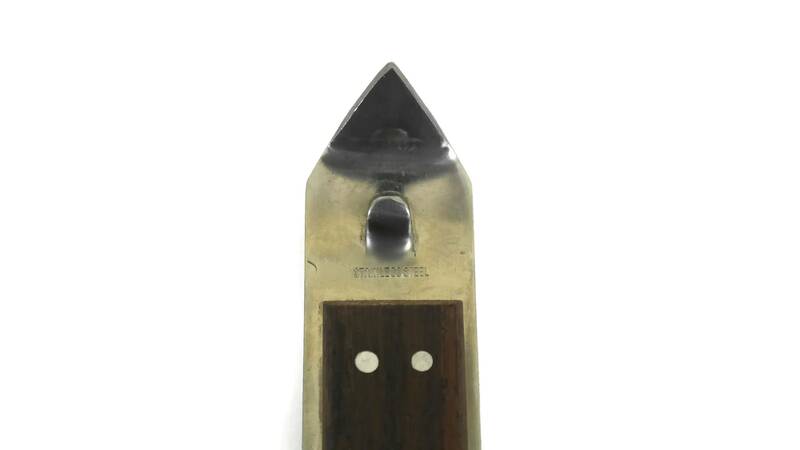 Can opener: 5" Long x 1.25" Wide (13 cm x 3 cm). 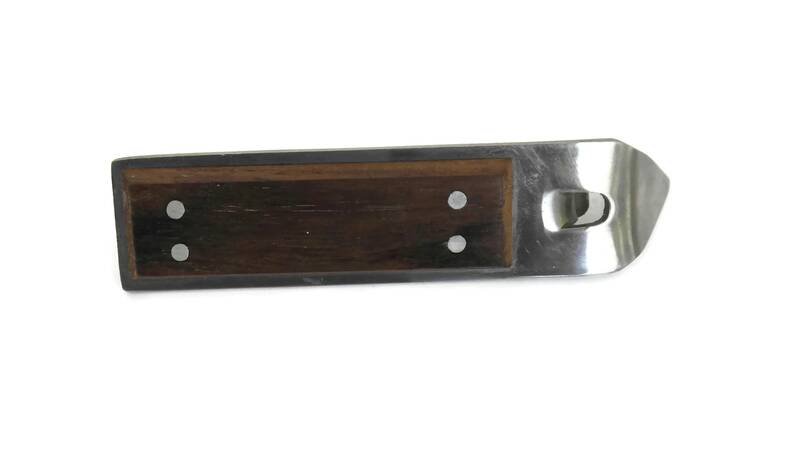 Bottle opener: 5" Long x 1.5" Wide (13 cm x 4 cm). 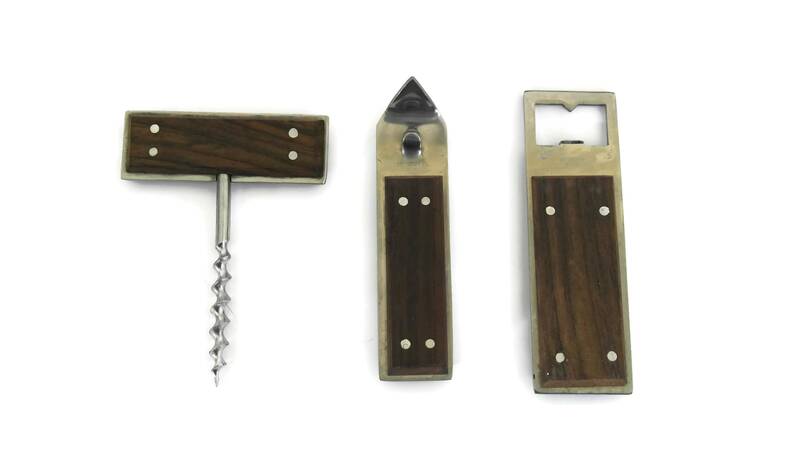 The Mid Century Modern Teak bar set is in very good condition with light signs of use.